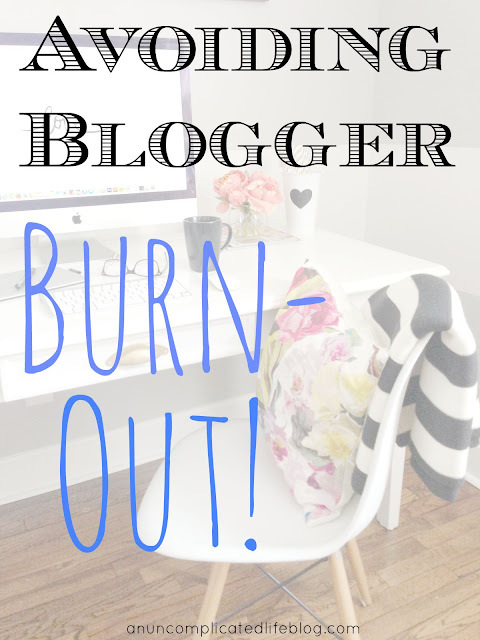 I was at Blog Elevated this past weekend, and the conference wrapped up with how to avoid burning yourself out as a blogger. Some of the things mentioned were common sense and good ideas in theory but difficult to implement, and some were more eye opening. I'll cover all of them in case my "ah-ha!" moments are different than yours in avoiding blogger burnout. Set your priorities and give yourself grace. Yes, this blog is my small business that I run and my personal brand I'm building... But I'm a SAHM first. My priority is my son (soon to be two sons!) and while I find myself getting frustrated that I can't implement everything that I want to when I think of it or when it's best strategically for my business, HE is my priority. Figure out what your top three priorities are in your life as a whole - family, work, relationships, blogging, motherhood, caregiver, etc. Figure out your top three and keep it to three! Write your priorities down and put them in a place you see them often. When you find yourself getting frantic about all that you have to do, look at that short list and ask yourself, "Is all of that taken care of today?" If it is, then you did a job well done! We cannot be all things to all people and be the best in our craft and offer the best to our families and friends. Be intentional. I loved this one because I really have to be intentional as a SAHM who gets nap time and after bedtime to really work on this blog. Set goals every month and keep track of them. Set your daily to do list to drive those goals. 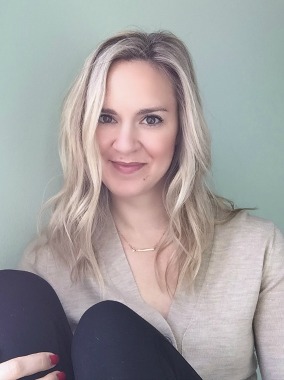 If you're looking to monetize, figure out what brands you want to work with, research who they want to work with, and set your to-do's to meet their objectives. Don't have 15 tabs open, jumping from task to task! Look at your to-do list and accomplish each one, line by line. Stay focused. Focus and intention is the BEST way to actually achieve both your daily tasks and ultimately, your monthly and yearly goals! I would also note that it's important to not set too many monthly goals, or have too many items on your daily to-do list. I set my first monthly goals just this month, and kept it to three! On my daily to-do list, I try to keep it to 3-5 items. This way you're not staying up all night, and you're able to do those things WELL instead of rushed and half-a$$ed. I've seen some bloggers set 10-15 monthly goals and that's just too many. Can you get one of those things done every other day? Probably not. Set yourself up for success, not failure. Limit your monthly goals! Stop comparing yourself and your blog to others. As you can see from my above tips, I've really honed in on setting priorities and being intentional with my goals and objectives to that I don't have burnout from attempting to do too much. But this area is my weakness. I'm competitive by nature. I'm analytical and strategic by nature. So I love to look at others' blogs and compare and crunch number data and have internal competitions with their blogs and mine. Now, a little competitive spirit is great! It's motivating. But if it's too much, it's debilitating. I'd say several times a year my extreme competitiveness puts me in debilitating mode. I see what others are doing and discourage myself. I think, "Ughhhh, I don't have time to hire a photographer and style a shoot! If I did, _____ (fill in desired brand) would probably love to work with me, but I'm stuck toddler chasing all day!" or "Yeah, if I had time like ______(fill in the blogger) to edit my DSLR photos, then I'd get 500 Instagram followers this week too! But my child decided to scream the second I opened my editing software... Must be nice to be child-free/have a nanny like ______ (fill in the blogger)!" Then not only am I unhappy with my blog, I'm also left upset that I'm a SAHM. Comparing your blog or your brand to others isn't helpful to anyone - not yourself, not your blog, not your family and certainly not your friends who are likely left listening to you complain! Comparison deflates you and your brand. Why do that to yourself?! A big takeaway from my conference was that I need to take that energy I spend comparing and overly-competing, and focus it on DOING. Why sit and compare when I can be doing things to improve my space and take it to where I want it to go?! Bloggers are busy. Most of us have full time work/responsibilities, family, friends, and other obligations competing for our time. It's easy to get burned out as a blogger, because having a blog is another set of things to add to your to-do list! But you can avoid blogger burnout if you follow these tips! All great tips, especially your first one about setting your priorities. For most of us, blogging isn't our full time job, and if other things come up that prevent us from posting or responding to comments as frequently as we'd like to, our readers will understand. Most of them want to know that the person behind the screen is in fact a real person. I need to be better about not having 15 tabs open at a time. I have been starting to write down daily tasks and it has made such a difference. Ughhhh that comparison game it is so hard not to get caught up in it but having good solid friends to bring you back down always helps ;-) Love all these tips from the conference keep them coming! I think being intentional is SO important. I am working to become more focused. I also loved this session and I'm working on incorporating these things into my business/personal life. Thank you for sharing what you learned at the conference - I would love to go to something like that! This really resonated with me; I'm a working mom, and sometimes I stress because I don't have all the time I want for blogging. This is a great post. I am currently on a mini blog break so I can get my $hit together. I needed some time away from being competitive and getting myself upset about running out of time. I schedule a break so it wasn't sudden and I just disappeared. It's been wonderful and very eye opening. I'm getting more things behind the scenes taken care of so when I come back next week I'll feel more put together and less stressed out. I think one of the hardest things to not do is compare my blog to other blogs and bloggers. I often find myself asking why can't I have as many followers as ___________ or why am I not as successful as ______________? It is a competitive blogging world! I think this is why I enjoy blogging and the blogging community, lol! Setting priorities is top of the list for me these days. I feel like I have less time to blog now that I'm a SAHM. At least at my job I had a bit of down time to blog every so often. Now I get mom guilt if I blog when baby girl is with me (which is every second of the day!). But she and the hubs are #1 and I'm totally fine with that. I used to compare too but it got me no where. So I stopped. It's hard not to sometimes, but I was so down about my blog that I just got in a rut. And my family suffered too. My little blog break help me put things into perspective. Great tips! Prioritizing and esp focusing on one task (instead of the 15 open tabs) have been my struggle. Thanks for sharing these! Pinning this because I love these ideas and I know I need to read over these several times! I'm trying to be more focused like many others but also not giving myself grief or stressing if I can't get to a post. In an ideal world, I'd love to do it all but balancing it all it difficult. this is a super helpful post - i think the comparing is the worst thing you can do, it's so unfair - to yourself and to the person you are comparing yourself to, because we don't know other people's situations and it only looks like they are better off when they are probably comparing to you or someone else, you know? anyway. being intentional and setting priorities is really smart - for life, not just blogging. i need to do that.